In 1952, “Les Ateliers LR ETANCO” starts as a manufacturer of fasteners for cladding and roofing, thanks to the mastering of cold forming and hot deep galvanization techniques. With the addition of metal stamping and foam cutting technologies, the company complements its range of solutions for the roofing and cladding markets with saddles and washers.In 1960, the acquisition of the plastic injection technology, combined with cold forming opens the door to new product development: Etanco is now able to produce the first self-tapping and self-drilling screws with color plastic heads (ETANCOVIS and FAT screws), offering its customers an efficient product with a better resistance to corrosion. ROOFING - CLADDING. Roofing is at the core of Etanco’s story. 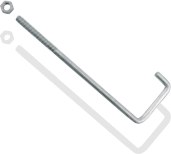 It all started in 1952 with the F1 hook, the LBT lag screws and the ARN roofing clips. Etanco never stopped innovating ever since. In 1991 the MONOVIS is lunached and then in 2012 the MONOSPIRALE is created to allow our clients to drill through 18mm of steel. Today MONODRILLNOX is the paramount of this range, offering both stunning drilling performance and a failproof resistance to rust thanks to its stainless steel body. New construction or refurbishment, single or double skin, there is more than meet the eye when it comes to cladding. And since Etanco lives up to the aesthetical challenges, we pride ourselves by offering the most comprehensive range of aesthetical cladding screws. PLASIFORM’S core technology is the transformation and cutting of technical Foam (PET, EPDM, PVC, PU). It brings innovative solutions to highly demanding markets : Building & Construction, Rail, Health and Safety, HVAC. PLASTIFORM’S solutions range from waterproofing elements to complex sound proofing solutions. In the early 70’s ETANCO extends its range of solutions for the French market, thanks to breakthrough innovations such as PER and RER ranges, the first fasteners systems for insulation In the roofing domain, the MEDCO saddle, launched in 1975, is the first to offer an embedded waterproof seal (EPDM foam). 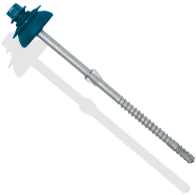 That same year, ETANCO develops the ISOLCO bracket for the facade, which is still a standard of the market today. In the 80’s, to keep pace with its commercial expansion, Etanco extends its production capacity, opens its logistics hub in Aubergenville, near Paris and creates a distribution subsidiary dedicated to waterproofers (LRM). Etanco keeps building up its technological capabilities: Zamac injection (1983), production unit for metal stamping and cutting (1989), Zamac overmolding of screw head (unique process in Europe in 1987). This is also during the 80’s that ETANCO extends its range of solutions to overroofing with MODULCO and MODULECO product ranges. Established in 1987, LRM has become one of the leading distributors of material for waterproofing, roofing and cladding professionals. The keys to that success: a deep technical expertise, a large product selection always available, the possibility to order tailor made solutions and the delivery of products within 48 hours anywhere in France. Etanco was the first European manufacturer to use the revolutionary Zamak injection and then Zamak encapsulation process. Through internal and external growth, Etanco grows its footprint outside of France (Germany, Italy, Belgium, Czech Republic). It allows the group to adapt its range of products to the latest European standards. In 1997, following the first European agreement technical guide (ETAG 001) Etanco obtains the CE Marking for all of its anchor range. As a result, Etanco becomes more and more involved in the set-up of national and European standards. ETANCO continues also to build its portfolio of technologies with the development of the sherardizing process, an anti-corrosion treatment through diffusion of zinc into the metal. In the 90’s Etanco was the only European manufacturer to master hot dip galvanization. Etanco is able to offer its roofing, cladding and facade customers a full range of color coated products (screws, rivets…). Thanks many investments in our color coating production line we are now able to offer more than a thousand colors to choose from. Moreover, thanks to a close collaboration with architects, we developed a unique expertise in delivering custom colors outside of the traditional RAL system. The demonstration of this know-how is illustrated by the success of many products, amongst them TORX PANEL and S-TET ranges for wood and metal frames. New Regulations and standards opens the door to new markets for ETANCO: Wood frame constructions, thermal insulation, Zero emission building, positive energy building, safety elements. Living up to this challenge, ETANCO‘s organization adapted to become an expert of the building envelope fixation, structural elements, interior solutions and specific infrastructures. The physiological risks linked with the massive use of Asbestos in construction material are a real threat to the health of all construction workers. Etanco has designed the MODULECO solution in 1990, allowing over roofing of asbestos roofs without having to drill through the asbestos panels. Saddle washers (VULCO) The VULCO saddle washer launched in 2002 became an immediate best-seller. With its revolutionary technology allowing a real two-in-one solution, it has become irreplaceable in our roofer’s minds. Our vulco saddle takes its origins back in 1960 when Etanco introduced the PPSO, the 1st ever saddle washer to be produced. Friulsider fut créé en 1966 et n’a cessé de croître depuis. Couvrant maintenant 61000M2 le site d’Udinese, dans le nord de l’Italie assure désormais la production des références plastiques et métalliques, garantissant ainsi la qualité made in Italy de l’ensemble des produits et assurant une rapidité de réponse maximale sur tous les projets : industriels, d’engineering, de constructions. Toujours à la recherche de solutions innovantes, la gamme friulsider compte désormais plus de 5800 articles, sur 4 catégories principales : chevilles, fixations pour la couverture et le bardage, vis à bois et boulonnerie. De ce fait, Friulsider a lancéun programme de recherche et développement et en parallèle, a organisé des rencontres avec des revendeurs spécialisés et des constructeurs. Ces dernières ont permis de mieux déterminer le réel besoin des utilisateurs et d’identifier les “plus” qui ont fait la réussite des produits conccurents sur le marché. Divers modèles ont été conçus et des tests ont été menés simultanément par le laboratoire Friulsider et les professionnels du bâtiment. Les résultats finaux ont montré plusieurs avantages techniques: ultra flexibilité, multi-expansion, géométrie variable, différentes expansions, faible couple de serrrage, prémontage, traitement des vis. Pour répondre à toutes les exigences, une gamme comprenant 3 finitions différentes, 2 types de vis et 2 types de chevilles a été développée.Son lancement sur le marché a positioné Friulsider en leader de ce marché. Thermal bridges eradication in waterproofing :Buildings energy savings is at clear development axis for ETANCO, hence, the Group has always been in pole position to develop solutions in order to eradicate thermal bridges. PLAST and RUPCO ranges were the first thermal plastic tube products to be developed by Etanco, quickly followed by the Etancoplast and Etancoplast HP range, a revolutionary polyamide plastic tube washer eradicating any thermal bridge on a roof. 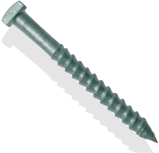 The self-drilling screw is a cornerstone of ETANCO’S product offering-	ETANCOVIS / FAT is the first self-drilling screw with an encapsulated plastic head allowing fast installation and excellent resistance to corrosion. -	ZACROVIS was launched in 1987. Mergin encapsulation techniques together with the use of ZAMAK alloy, this revolutionary technique allowed ETANCO to become the first manufacturer to offer a 20-year warranty on a self-drilling screw-	DRILLNOX, bi metal screws for aluminum sheets. 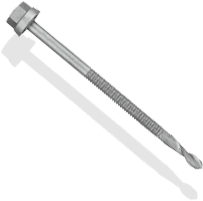 A stainless steel A2 or A4 body with a carbon drilling head-	SPIRAL POINT, launched in 2012 it allows our roofer to drill through 18mm of steel for a quick installation. Particularly handy when working on old steel structures. Thermal performance of Etanco’s waterproofing range is unrivaled. 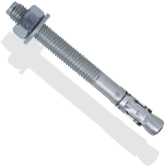 We offer a full range of insulations and waterproofing membranes fixings. Etanco’s solutions will suit the most demanding projects on any kind of substract. Etanco’s range, certified under ETA’s thanks to its versatility will allow full compatibility with all available decking membranes. Up until the production of this plug, Friulsider was missing from its range a new generation universal plug. For the plug to have success in an already over-crowded market, innovation was needed. As with its big brother the FM-X5, Friulsider once again "took to the field" and interviewed the most important players of the market. One of the main feedbacks was the need for a plug that could work with all types of screws. This is where the winning idea to combine it with metric screws came about, as nearly all professional users have them in their tool boxes. All of these market requests were conveyed to the Friulsider Technical Department who elaborated various models and samples which were tested in all situations. For over 3 years Friulsider was involved in research, experimentation, testing in all conditions and detailed analysis of competitors. The end result was a plug full of innovation: low torque, differentiated expansion, collapsible rim, dynamic geometry, suitable for all uses and screws.Once again the plug was instantly successful and has become one of Friulsider blockbusters.The product’s tagline embodies the significance of the whole project: X1 evo The absolute plug; ENDLESS BASE MATERIALS, ENDLESS APPLICATIONS. ETANCO works daily to improve the performance of its cladding fastening systems, and in particular, ensuring a compliance with environmental rules. After the terrible earthquake of 2014 in Italy, many regulations have been changed to ensure better seismic resistance of buildings. Our subsidiary, Friulsider, located in San Giovanni, developed the anchor BARACO Crack, that meets the requirements of the new seismic regulations. Etanco as a comprehensive solution provider for all the external building envelope offers a dedicated range for glazing and curtain walling : over than 900 sku's (ligth facade, accessory light facade, angle rails...). Because we have been working closely with roofers for more than 70 years, we know how physically demanding it can be. In the 1990’s Etanco brought a solution to its customers by offering semi automated machines (Etancomatic, ET 240, ET PLAST, ETPLAST HP), allowing comfortable and quick installation of our fixing products.